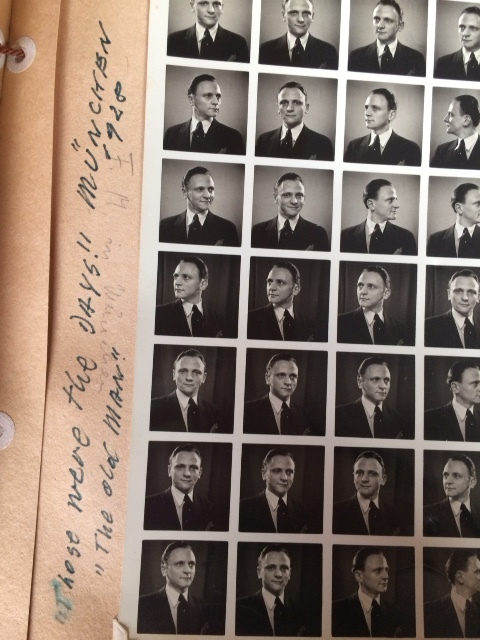 I received some remarkable photographs from my cousin Suzanne, the daughter of Fred and Ilse Michel. Fred, as I wrote about here, was the grandson of August Seligmann, who was my great-great-grandfather Bernard Seligman’s brother. Fred would have been my grandfather John Nusbaum Cohen’s second cousin, making him my second cousin, twice removed. Suzanne is thus my third cousin, once removed. 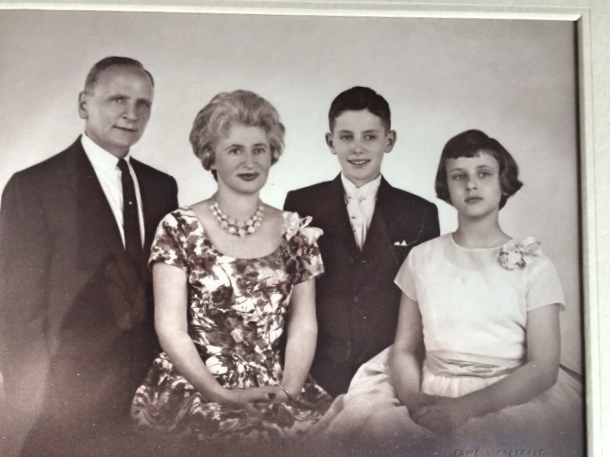 Suzanne sent me a number of photographs, including some taken of prints that had hung in her childhood home in Scranton, Pennsylvania. 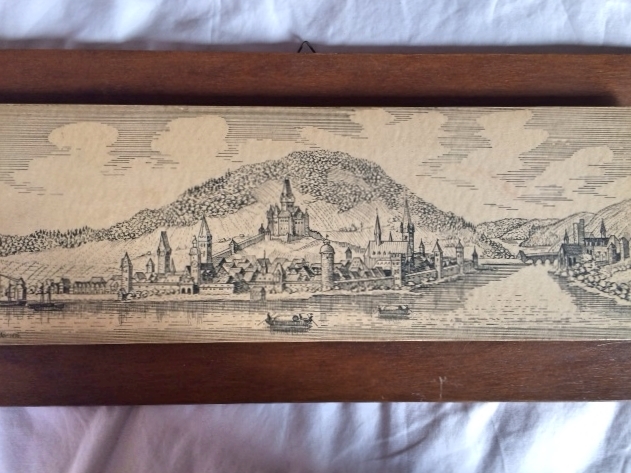 For example, here are two prints of Bingen, Germany, the town where Fred Michel lived and also where our mutual ancestor Moritz Seligmann lived (in Gaulsheim, now part of Bingen) before moving to Gau-Algesheim. It is also close to where my cousin Wolfgang now lives, and he identified the location and some of the structures depicted therein. These prints show the city of Bingen’s location at the intersection of the Rhine River and the Nahe River. 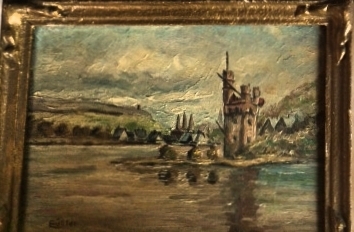 According to Wolfgang, the tower in the river is called the Mäuseturm or “tower of mice,” and the church on the hill in the top print is the Rochuskapelle or the chapel on Rochus Hill. 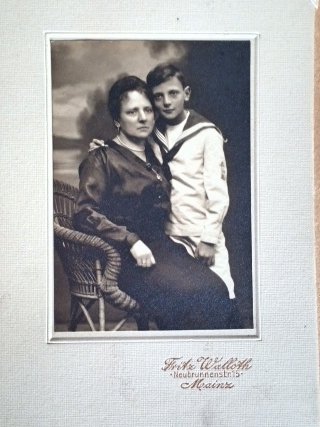 Wolfgang said that his grandfather Julius and his family survived the last part of World War II in the Rochus chapel. Wolfgang told me that much of the city of Bingen was destroyed by British bombers in November, 1944. The bombs destroyed the apartment whereJulius Seligmann and his wife and sons lived, so they moved to the Rochuskappelle, which the monks had opened for those who had lost their homes and their possessions. On the reverse of the top print is written, “So that you always think of Bingen and your friends: ?? ?-Kathi-Rainer und Christa Güttler. 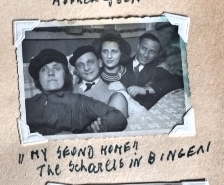 Bingen, Nov,11, 1974.” The reverse of the second print says, “The loving Ize and his wife to remember Bingen from Gret and Kath Scharer.” Based on the captions on these photographs from an album that belonged to Fred Michel, these were close friends. 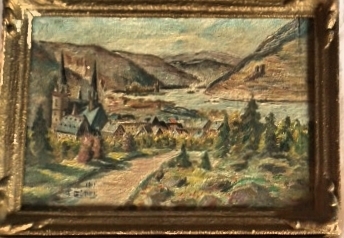 These prints of Bingen before the war and the photographs of Fred’s friends made me think about what was lost during the war. Not just all the millions of people who died, but also the landscape, the history, and, for the many who were lucky enough to emigrate, their homeland. Perhaps these old prints and the pictures of his friends helped keep some of those happier memories alive for Fred Michel. 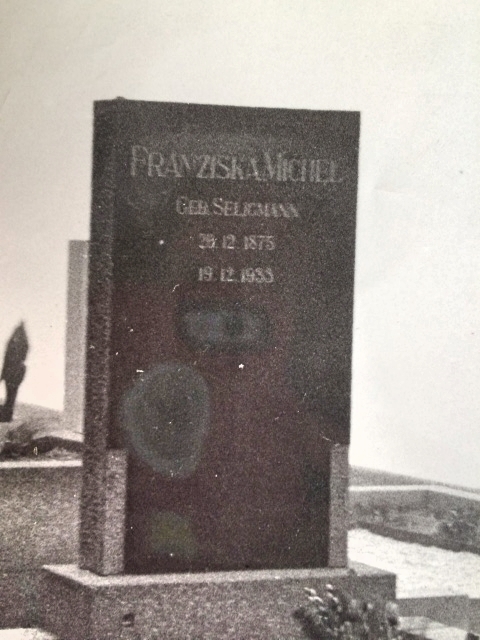 Here is a photograph of Franziska’s headstone. She died four years before Fred left for America. August was my great-great-granduncle, the brother of Bernard Seligman. 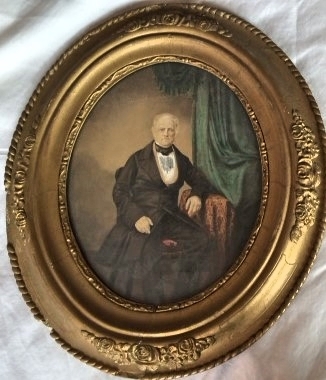 Here is a picture of Bernard, my great-great-grandfather. Can you see any resemblance between the two brothers? 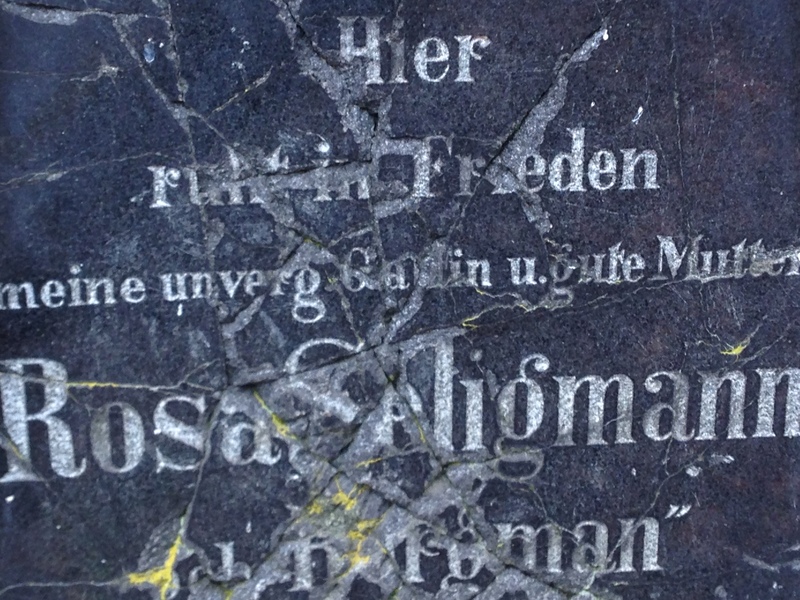 Rosa’s headstone is the one that was terribly defaced in the Gau-Algesheim cemetery. And here are the portraits that intrigue me the most. I could decipher Seligmann there as well as von Gau-Algesheim to the right, but I was not able to read the word underneath Seligmann. 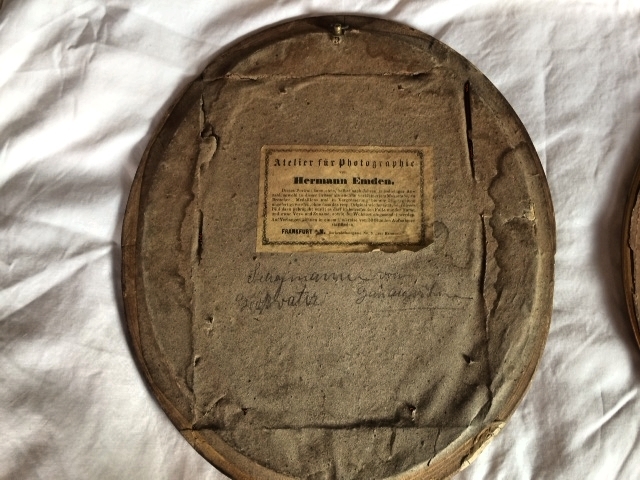 I posted the snip of this to the German Genealogy group on Facebook, and two people there confirmed that the word was the German word for “grandfather.” One of the two also insisted that the name was Schafmann, not Seligmann, but I still am sure that it says Seligmann, and not only because I know that was the family’s name. What do you think? So if this man was a Seligmann and a grandfather, who was he? 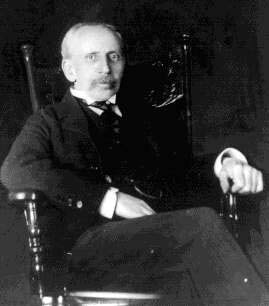 Since the portrait belonged to Fred Michel, I would have assumed that it was his grandfather, that is, August Seligmann. But the man in this portrait does not appear to be the same person as the man in the portrait above, which was clearly labeled August Seligmann. 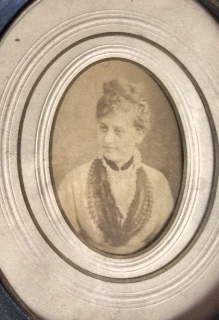 So my thought/hope was that this was the grandfather of Fred’s mother Franzeska, who must have given these old pictures to her only child. If that is the case, then these two portraits depict my great-great-great-grandparents, Moritz Seligmann and Babetta nee Schonfeld. German engraver and photographer; born at Frankfort-on-the-Main Oct. 18, 1815; died there Sept. 6, 1875. Early evincing a love for art and unable to afford an academic education, he entered an engraving and lithographic establishment as an apprentice, endeavoring especially to perfect himself in the artistic side of his work. In 1833 he left Frankfort and went to Hersfeld, Darmstadt, and Bonn. His portrait-engraving of Pope Pius IX. and his views of Caub, Bornhofen, and the Maxburg belong to this period. He also turned his attention to photography, then in its infancy, and was one of the first to establish a studio at Frankfort-on-the-Main. He made his reputation as photographer by the work “Der Dom zu Mainz und Seine Denkmäler in 36 Originalphoto-graphien,” to which Lübke refers several times in his “History of Art.” Emden was the first to compose artistic photographic groups (“Die Rastatter Dragoner,” “Die Saarbrücker Ulanen,” etc. ), and was also among the first to utilize photography for the study of natural science. You can see some of his more famous works here. Once I saw that Emden died in 1875, I was even more certain that these were portraits of Moritz and Babetta Seligmann. August would have only been 34 when Emden died, and the man in that portrait is quite clearly older than 34. It has to be his father Moritz. Moritz and Babetta had to be quite comfortable, I would think, having their photographs taken by such a successful photographer. I also wonder whether Emden was a relative. Seligmann was a fairly common name, and it was often used as a first name as well as a surname. But perhaps further research will reveal some familial connection. 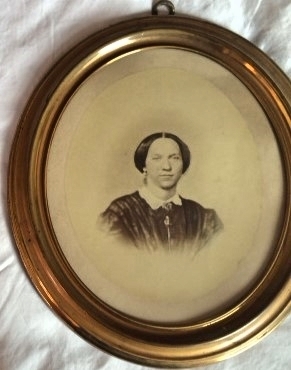 But for me what is most important is that I am looking at the faces of my three-times great-grandparents. I never ever thought that would be possible. This entry was posted in Favorite Posts, Gau-Algesheim, Germany, Photos and tagged Bingen, Gau-Algesheim, Gaulsheim, hermann emden, Michel, Pennsylvania, photographs, Rhine, Scranton, Seligmann by Amy. Bookmark the permalink. The word below Seligmann is “Großvater” (grandfather). Amazing treasures, and as usual, great sleuthing too. I think you have come to the correct conclusions, based on the evidence. Thanks, Leslie! I am still smiling about these photographs. 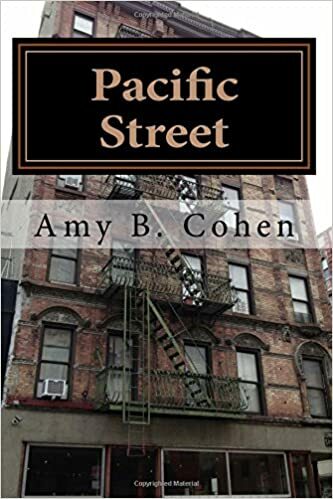 Great find Amy! Can you get a better resolution of the last photo? What does Wolfgang think the name is? Thanks, Wendy. I am going to ask her to try again. I think she just used her iPhone to snap these, and I also would like a better resolution. I haven’t asked Wolfgang yet. I should have written in my earlier post that the family name definitely reads “Seligmann”. Thank you! I really appreciate the confirmation. Story of H.Seligmann Emden ist fascinating – thanks for telling!! Thank you so much for these links, Dorothee! I will go read them now. 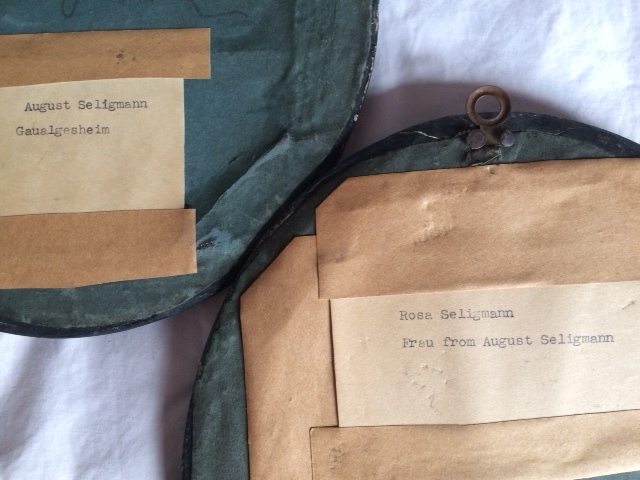 And thanks also for reassuring me that it does say Seligmann! Wow, that story about the mouse tower is truly gruesome!! In his Mouse Tower on the Rhine! Great map—thanks! I look forward to visiting in 2017. I think it says Schafmann… What you think is a “g” is disconnected; the above-line loop is not attached or really near the below-line loop, and there appears to be a tall, thin loop like of an “f.” What was the maternal grandfather’s name? You’re outvoted by my experts in reading German script. Only that one person on Facebook saw Schafmann. The writing is very old and somewhat faded, so the g appears disconnected. 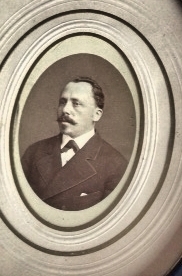 Franziska’s other grandfather was Bertrand Bergmann. Her great-grandfathers would have been Seligmann, Schoenfeld, Bergmann, or Worms. 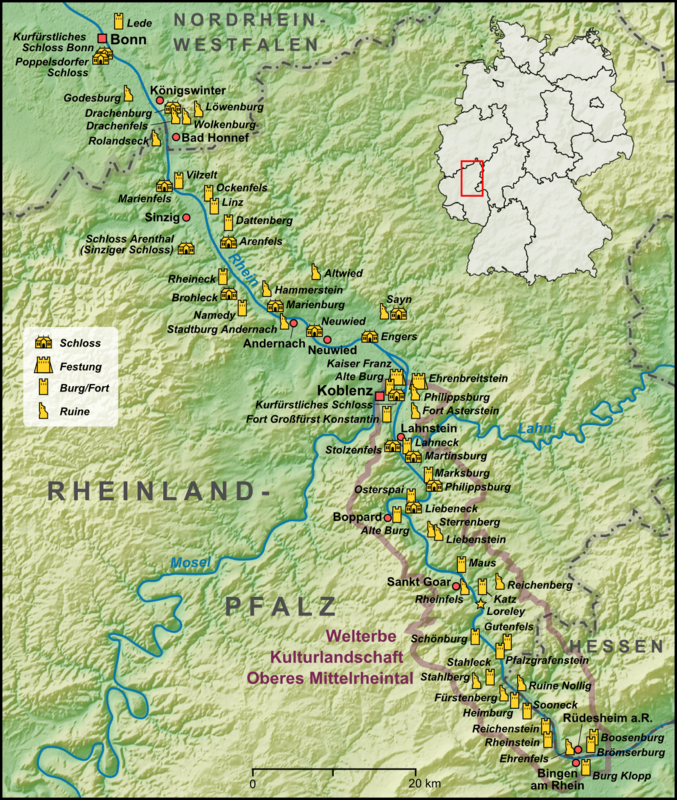 And the Schoenfelds were from Erbes-Budesheim, not Gau-Algesheim. So only Seligmann makes sense. I love the photographs! What a great connection to have now. Thank you! Yes, every time I look at those photographs, I get excited all over again. Your post made me happy and heartbreakingly sad. 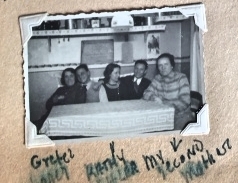 I’m so glad that you received these photos and feel more of a connection to your family. But, like you, I am so sad for the families that were impacted by the war. Such a tragedy to see loved ones torn apart and removed from their homes and lands. Thank you so much for this thoughtful comment. I feel the same way.